I have always made good grades and been “successful” in my work life. I am a determined and ambitious individual. Cliché #1: You can't be successful if you have a mental disorder. When I was 18, I experienced my first breakup and began seeing a psychologist when signs of depression appeared. Therapy promptly exposed my battles with anxiety. My psychologist referred me to a psychiatrist who diagnosed Generalized Anxiety Disorder (GAD) and prescribed medication. In addition to GAD, I am prone to experiencing hyperactive anxiety, separation anxiety, phobias, and panic disorder. 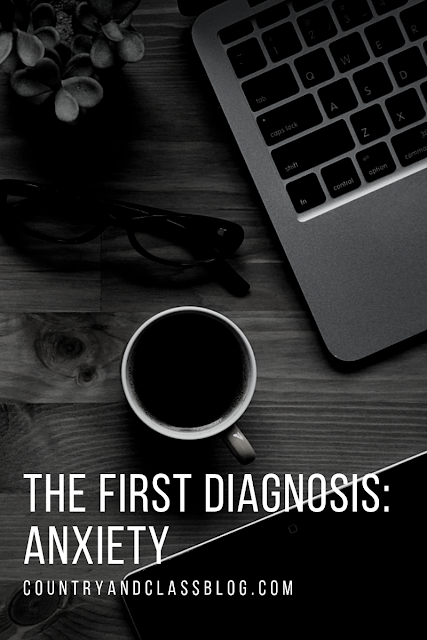 I have been diagnosed with every anxiety disorder on the spectrum. Psychological disorders are often comorbid, which means that an initial condition is simultaneously accompanied by a second (or more). GAD is caused by genetics, brain chemistry, or trauma. Genetics and brain chemistry are out of an individual's control. Furthermore, I would like to address that a survivor's personal experience terms an event as traumatic. At the ages of five and 13, cancer stole people I loved. At 20, two of my friends were kidnapped, awakening me to the reality of trauma and its effects. If you were to ask me which of the situations was worse, I couldn’t give you an answer. Each experience was equally corrupt in its own distinctive way. I can vividly recollect details from these experiences, even after 15 years. These memories come back to haunt me during life’s most arduous seasons. I dread the nightmares the most. Furthermore, mental orders are wired in my DNA. Thus, GAD is not my fault nor something I have the ability to control, especially before diagnosis and therapy. Initially, I was aggravated that I was required to take medication because I felt defeated. I believed that I was “pathetic” because I couldn’t handle anxiety on my own. Anxiety medication transformed my life for the better. I experienced panic attacks daily prior to medication. Whenever my anxiety peaks, I tremble and get physically ill—even while driving. Screaming served as a trigger for my anxiety and emotion that I couldn’t regulate. Before therapy, my only response was sobbing, which lead to puking, heat flashes, hyperventilation and passing out if the panic attack occurred over a lengthier duration. I had zero control of my emotions. The medication permits me to realize the things that trigger my anxiety and handle situations rationally. Sitting still for extended periods of time without mental stimulation and starting on large tasks creates unease and anxiety in my brain. When I was younger, I would unknowingly procrastinate on assignments to create a stressful situation and force myself to hyper-focus. Jesus, awareness, medication, vulnerability, and therapy have led me to apprehend my triggers and accept that GAD is the way my brain responds to situations. I cannot “cure” GAD, but I can take steps to alleviate its symptoms. I have a rare comorbidity of disorders including Attention Deficit Hyperactive Disorder (ADHD), Obsessive Compulsive Disorder (OCD) and GAD. This is the first post in a three-part series explaining the sequence of my diagnoses and how they impact every aspect of my life. The point is to inform and raise awareness about a battle that I endure daily. I wish I knew earlier what I know now about my brain and I feel an obligation to enlighten others. If you have a mental disorder, you are not alone. There is power in living vulnerably.